One of the most exciting and enriching experiences for our 5th grade students is the Exploring New Horizons Outdoor School in Loma Mar. The 2018-2019 5th graders will attend in May 2019. Camp Loma Mar is located approximately 8 miles east and 10 miles south of Half Moon Bay. The camp takes a hands-on experiential approach to science education. Among other activities, students will learn about old growth redwoods, explore the Oak and Madrone forest, observe the different microclimates within the Pescadero Creek watershed and study diverse marsh and tidepool life. On all three days, curriculum is correlated to the 5th grade science standards. 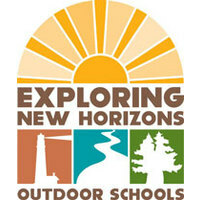 The amount per student to attend Outdoor School is $400 per child which includes food, and lodging. Transportation by bus to and from school will also be provided. You can pay once in full or you can pay in three (3) installments; this option will only be available through November 30, 2018. Please note, there is a small transaction fee to pay through this website. To avoid the transaction fee, you may also write a personal check made out to PUSD and turn it into your child's teacher or to the school office.